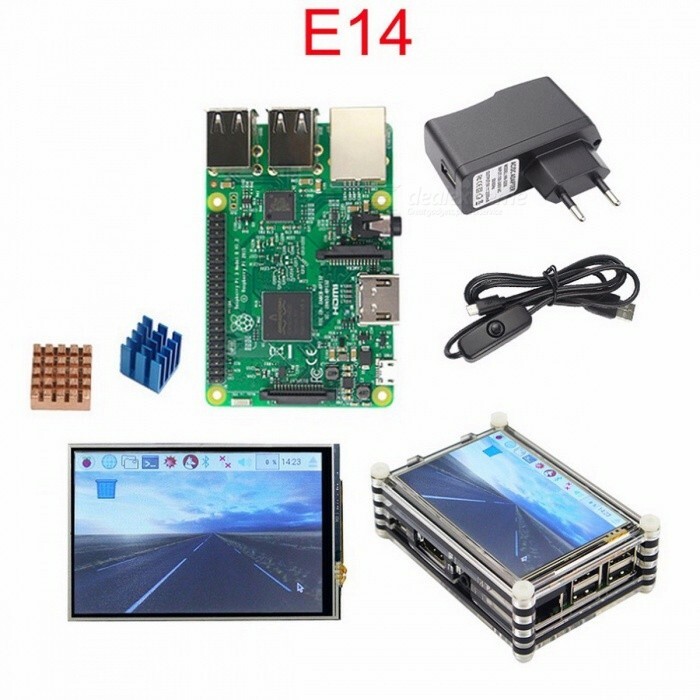 Just bought a couple of RPi 3’s for a contract project (more on that later). They’re great. Really great. But the idea that they’re cheap is not true. First, the board (35€). Then, a decent sd card (8€). Then, a big enough power source (10-15€). Then a keyboard and mouse (15€). A case. (10-15€). Monitor/LCD (25€ used) and HDMI cable (7€). You can easily run to 100€-125€ to be able to use a RPi for something. A decent used laptop is that price. Any opinions? Is RPi really cheap or not? Nope, not for what the hardware is, you’re right, a similar spec laptop would be about the same price. To run RetroPie, and i am happy with it. If you’re going to use it as a laptop, yeah. For a headless server or robotics projects, all you need is a cheap power supply (any phone charger will do) and the SD card. Remote SSH into it. For emulation: a controller, SD and a better power supply. The graphics card in a Pi is better than the one in many Intel laptops. As someone who has more than a handful and then some, I’d consider them “cheap” for what they are. I already had most of the peripherals laying around, so for me buying just a 35$ board and a 6$ case was pretty good. But of course, it’s true when you buy bundles and extra gear the price goes up. But, it’s a specialty item to me that I can’t get from a normal laptop, to have the gpio available for extra projects is really valuable. So, for that end, I’d consider it pretty cheap. They originally pushed the idea as something that you buy while re-using the other items that you already have! SD-Card…ok not every one has them just sat around the house but they aren’t expensive. It just meant that the main board was cheap enough to buy for pocket money and not SO expensive that it would be a high financial risk if you accidentally fried it when experimenting with hardware hacking etc. It was designed to be low cost / low risk. Yep, that’s the typical use case in my view, and that’s how I use it. Basically let it run a small server or something without the need of monitor/keyboard – you can either temporarily plug some in when you need to operate it, or better just connect remotely. If you don’t need direct access to the Raspberry Pi but want the GUI, you can avoid the cost of keyboard, mouse and monitor by accessing via remote desktop. RealVNC server is part of the Raspbian build by default now, but an even more flexible remote access method is novnc which you can install as described here. novnc allows you to access the remote desktop from a browser with no software to install on the client side. Add to that a power supply (USD7 ea in qty 4) an SD card (USD6) and a cheap ebay case (USD$1.3) and you’ve got my version of an inexpensive system. The case is actually designed for the Model 2, but you can file the SD card notch a bit to make access on the Model 3 reasonable. Can not stand using command lines unless I have no choice. Thanks for the tips though. I have two or three un-used Raspi’s atm and I really ought to be doing something with them. I’m considering making a BrewPi setup as I’ll be doing a different kind of Homebrew soon o_0!